When I saw this recipe in Food Network Magazine I knew I needed to make it right away. Bourbon has been very high on my cooking with list recently and adding the sweetness of vanilla to it could only make it better. 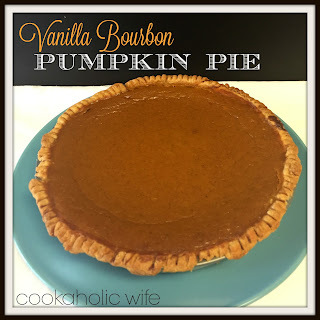 At first I couldn’t even imagine what this flavors would taste like together with a pumpkin pie, but I quickly found that delicious doesn’t even begin to describe it. The pumpkin pie takes on a custard like consistency teased with hints of vanilla and bourbon. In other words, perfection. 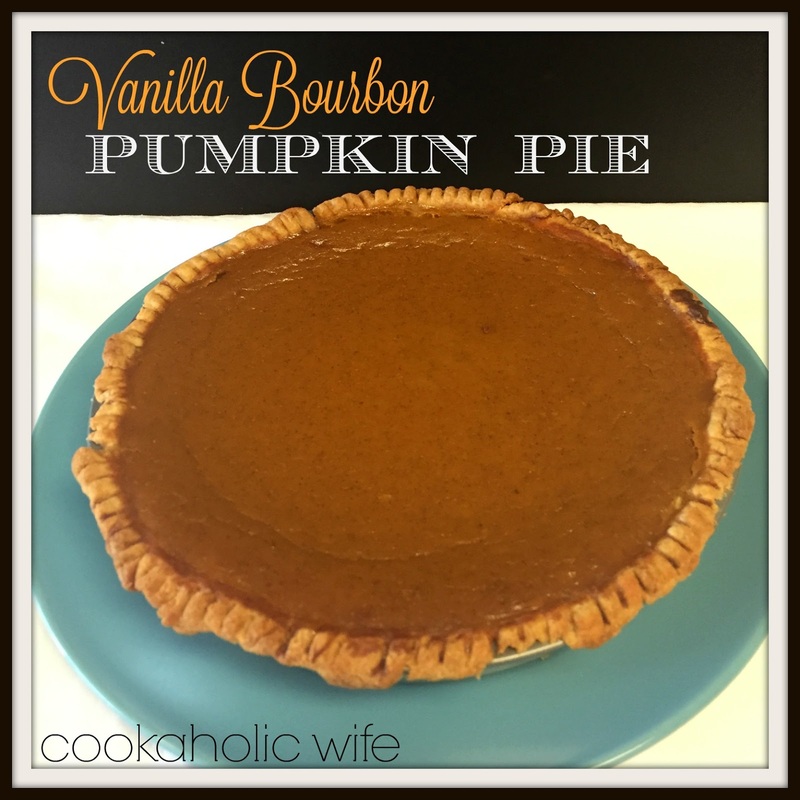 I altered the recipe a bit, using a store bought crust and adding the vanilla to the pumpkin mixture instead of the crust like the original. If I had more time I would have made the crust from scratch, but this was a last minute decision. I’ll leave it up to you whether or not you chose to follow my recipe or the original. 1. Preheat the oven to 375. Allow the pie crust to come to room temperature before unrolling. 2. In a heavy bottomed saucepan, combine the heavy cream, bourbon and cinnamon stick. Bring to a simmer over medium-low heat then transfer the mixture to a large bowl and allow to cool slightly. 3. Once cooled, whisk in the vanilla bean paste, pumpkin puree, eggs, sugars and spice. 4, Roll the pie crust out over a 9-inch pie plate, crimping the edges. 5. Discard the cinnamon stick and pour the pumpkin mixture into the prepared crust. Cover the edges of the pie with foil or a crust shield and bake for 35 minutes. 6. Remove the foil or crust shield and bake for another 35 minutes or until the filling is set and the crust is golden brown. 7. Allow to cool to room temperature on a rack, then refrigerate for 1 hour before slicing and serving. 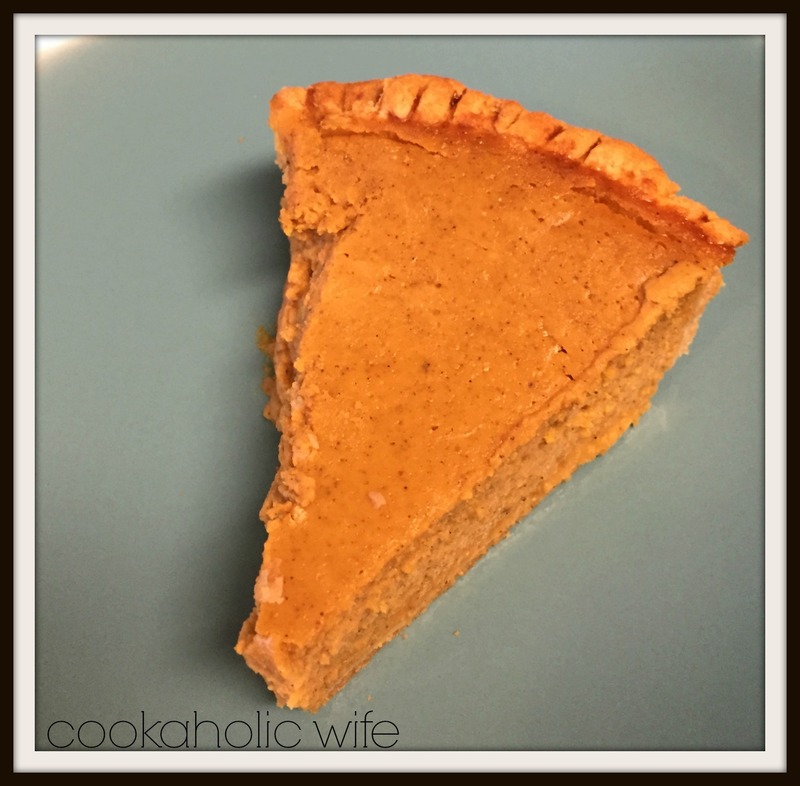 Refrigerating the pie allows you to slice it easier as the pumpkin mixture is not as dense as it would be in a regular pumpkin pie.